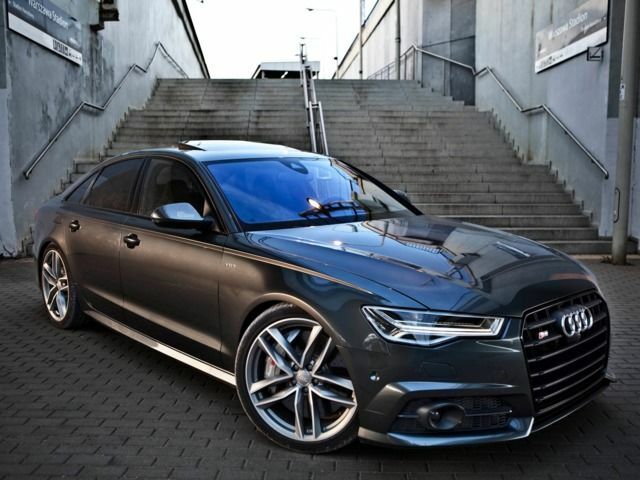 The Audi S6 is a hi-performance version of the popular A6 mid-size luxury car. This variant was originally introduced in 1994, and we have seen four generations so far. The current model is present since 2012 but consider that there was a mid-cycle refresh a few years ago. This car is known for its powerful V8 engine that delivers 444 horsepower, as well as for the company’s famous “Quattro” all-wheel-drive technology. Of course, there are many other modifications compared to base A6 models, both regarding mechanics and visual appearance. This is a large car, so it’s not wondering that overall length is 195.9 inches (4976 mm). Its width is 75.8 inches (1925 mm), while height is 56.4 inches (1433 mm). The length of the wheelbase is 114.7 inches, or 2913 mm. In its factory variant, Audi S6 comes with 19-inch alloy wheels that have 8.5-inch width. Each rim weights around 30 pounds, which is an average number for this class. When it comes to tires, this model features 255/40 R19 units, which are produced by some of the major manufacturers: Continental, Pirelli, or Michelin. Higher trim levels include 20-inch wheels as well. The rim width is the same, but dimensions of tires are 255/35 R20. The offer of OEM wheels includes several rim designs, but it can’t match the diversity of custom wheels from various manufacturers. Improved aesthetics: There is no doubt that Audi S6 is a hi-grade premium car. Its visual appeal seems amazing. When it comes to Audi S6 rims, the company offers several wheel designs. Still, aftermarket provides a far better choice. Numerous manufacturers are specializing in performance rims. They have an amazing palette of different ones that can fit this sports car. With such extensive offer, it seems much easier to get an ideal pattern. 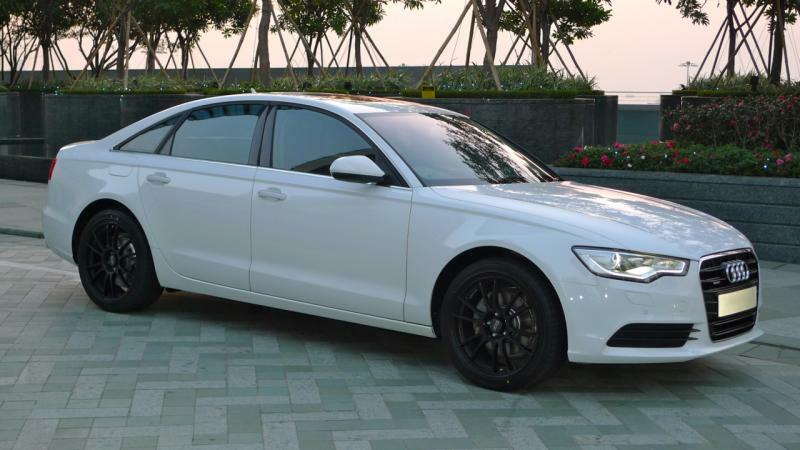 Improved performances: Although the company’s stock wheels feature excellent characteristics, Audi A6 custom wheels will still ensure higher performances. Rims from renowned manufacturers like O.Z., BBS, Sparco, etc. usually offer rims with higher alloy-quality, which means improved thermal conductivity, lighter weight, more smooth maneuverability, etc. Improved safety: Safety should always be in the first place. 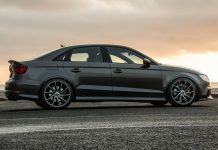 By installing Audi S6 aftermarket wheels that usually have a wider track, you will get better handling, as well as increased stopping power. Greater Value of the Car: Custom wheels usually increase the value of the vehicle, even when it comes to such luxurious sports car like this. Installing aftermarket wheels is always one of the initial steps in car customizations. The market is full of custom wheels of all diameters and rim patterns, and you would easily find the perfect fit for your car. Speaking of Audi S6 rims, the offer is extremely wide. This brand is a part of the world’s largest carmaker, VW Group, so it’s no wonder that pretty much every major rim manufacturer offers products that can fit this excellent sports car. Considering all the benefits that custom wheels could bring, this is definitely something that is worthy of trying. It is important to mention that this sports car comes in two body styles – 4-door sedan and 5-door estate/wagon. Fortunately, both variants use completely the same chassis, which also means identical wheel parameters. Let’s start with diameters. Base models come with 19-inch wheels. When it comes to the overall diameter range, you can count on even larger 21-inches rims, but be ready that it will not come easy. You can also install even smaller 18-inches wheels, but this seems pointless if consider that this is a pretty large sports car. All in all, the optional diameter for this car will be 20-inches. As to the rim width, wheels of base S6 models are good for 8.5 inches. However, Audi S6 aftermarket wheels start with 8 inches, while the widest have full 10 inches, which seem a little bit too much. Our suggestion would be 8.5 or 9 inches. Offset parameters were always a matter of personal taste. It all depends on what you want to get from your vehicle. Still, there are limits for every vehicle. Considering that this car is already pretty tightened up in stock version, the offset range is rather small. For 9J and wider rims, the perfect measure would be around 39 millimeters. On the other side, 8, 8.5J rims fit up to 45 mm. In theory, overall offset range goes between 25 and 51 millimeters. Finally, let’s say few words about tires. Basic models feature 255/40 R19 proportions. Considering the above-mentioned rim sizes, count on a wide range between 245/50 R18 and 285/25 R22 dimensions. As we discussed above, this brand is part of the VW Group. 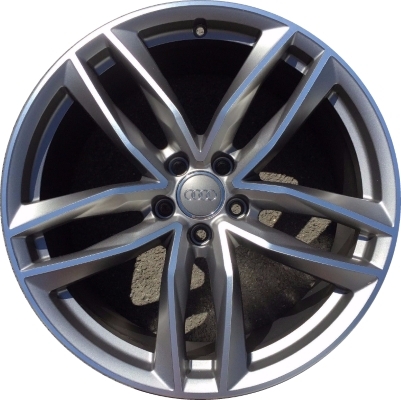 Hence, it’s not surprising that numerous rim manufacturers offer Audi S6 custom wheels. Of course, there are models from some major brands like O.Z., or BBS. The famous Italian manufacturer has three departments that produce wheels for this sports car. The basic brand’s offer includes various patterns with diameters of 19 and 20 inches. Of course, there are famous O.Z. Racing and O.Z. Racing Tuner Systems sub-divisions which offer hi-grade products. BBS also covers 19- and 20-inch diameters, and it is one of the best choices for this car, not only because of attractive patterns but also because the rims being pretty lightweight. For comparison, stock wheels of Audi S6 weight over 30 pounds, while most of BBS rims are around 25. Finally, there are some more affordable brands like Advanti, KMS, Verde, Quad, and so on. Choosing the right rim for Audi S6 could be a little tricky. Despite the fact that a lot of manufacturers that offer plenty of wheels for this model, keep in mind that this is a hi-luxury sports car. Cheap alternatives sometimes could be an excellent solution, but this time, we would go for brands with the highest reputation. When it comes to size, a 20-inch diameter, along with the width of 9-10 inches would be a perfect fit. Still, minor deviations are acceptable. Thus, the best solution would probably be to choose a product from manufacturers like BBS and O.Z. The first one offers several interesting models. One of them is BBS RI-S. These wheels feature a 20-inch diameter and 10 inches in width with a weight of around 25.5 pounds, which is pretty impressive considering the size of rims. This is a top-tier product, so don’t be surprised with the price tag. Another interesting model is O.Z. Racing Botticelli III, which has a diameter of 20 inches and width of 9 inches. This rim will give you auto a stylish look. However, its weight could be considered as a disadvantage, because this is a full 31-pound rim.